it's not uncommon for pipe, plumbing, and water leaks to occur in residential and commercial properties. But this doesn’t mean that leaks aren’t a serious plumbing issue. If you find a leak in your home or business, it is important to have it repaired as soon as possible. Plumbing leaks, even if they are minor, can seep into the walls, floor, and ceiling over time causing extensive water damage and even cause mildew and mold growth. Leaks can also skyrocket your monthly utility bills. If there is a leak in your residential or commercial property, contact Sunshine Plumbing and Gas. 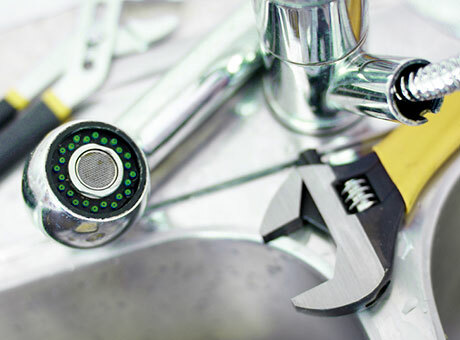 Our plumbing repair company is highly skilled and experienced in detecting the source of a leak, determining the cause of the leak, and taking the necessary steps to properly repair any leak. What Are The Most Common Types Of Leaks? As with other common plumbing issues, leaks can occur in a number of places on your property. They can also be caused for a variety of reasons. Some of the most common types of water leaks include the following. Leaks from punctured pipes due to rust or other forms of corrosion. Worn out or loose pipe joints resulting in water leakage. Leaks due to higher water pressure than pipes can withstand. Toilet leaks that range in severity and caused by several reasons. Faucet leaks due to normal, everyday wear and tear. Leakage from cracked or burst pipes due to freezing temperatures. What Should I Do After Finding A Leak? If you identify a leak in your residential or commercial property, it is important to immediately contact a plumber to have the problem repaired. While waiting for the plumber to arrive, consider the following steps to prevent further damage to your property. Turn off the main water valve to stop water from flowing. Remove as much water as possible if it has begun collecting. If there is flooding, turn off the electricity to prevent accidents. Dry affected belongings or areas of your property with towels and fans. Move furniture and other belongings away from the leaking area. What Water Leak Services Do You Provide? We know how devastating and disruptive water leaks can be to your comfort and ability to perform daily functions, especially if the leak causes water damage to your property. If you find a leak, contact us as soon as possible. Our technicians are on-call for 24/7 emergency service. As a commercial establishment, it is important for your property’s plumbing to always be in good condition. Water leaks in your business can lower water pressure, preventing your employees from adequately performing daily tasks, affecting the comfort of your customers, and leading to expensive repairs that could even require your business to close for a number of days. Damage to your property can pose danger to the integrity of the commercial structure and lead to mold and mildew growth — posing a health risk to everyone on the premises, including customers and employees. If you are experiencing a leak, our commercial plumbing services can help ensure that your daily functions, profits, and professional appearance aren’t affected by your plumbing system issues. At Sunshine Plumbing and Gas, we understand how severely a plumbing leak can impact a home. Having leaks in your home can lead to extensive water damage and mold growth. Not only can a leak threaten the structural soundness of your home, damage your possessions, and be costly and time-consuming to repair, but it can also pose a health risk to you and your family. Leaks can quickly turn into more than just a minor inconvenience so it is important to hire a professional plumber for residential plumbing services as soon as possible. Our plumbers have the necessary equipment and experience to quickly repair any leak in your home before it has time to develop into a disaster situation and affect the well-being of those in the home.